Even in this age of ever-more sophisticated communications people are increasing the conduct of business by voice calls. Can your business afford to miss that all-important call? At Anserve, using the latest in computer-telephony technology, we can provide you with a telephone answering and messaging service to ensure that this never happens. Staffed by carefully trained and highly experienced tele-receptionists, Anserve will answer your incoming business calls promptly and courteously, Ensuring your callers always receive a keen, personal and professional response is our highest and only priority. Whether you're a sole trader, a media response company, a local authority or a multi-national corporation, Anserve can help your business thrive and grow. Our service is highly flexible and cost effective, freeing you and your staff to concentrate on your core business and other opportunities. We do not hold you to a contract and there are no hidden charges. 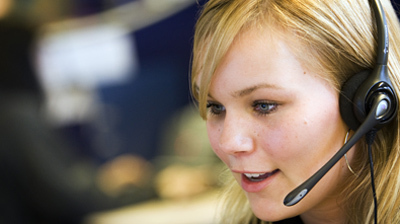 If you are currently using an answering service, we can guarantee that we will cut the cost by at least 15%. We will relay your messages to you via fax, email, sms text message, pager or voice mail - whatever suits your own requirements. We're a 24-hour, 7 days a week service. Your customers will never have to speak to a machine or hear an engaged tone again. Visit our page on the FreeIndex directory.